This isn't your Western team from years past. 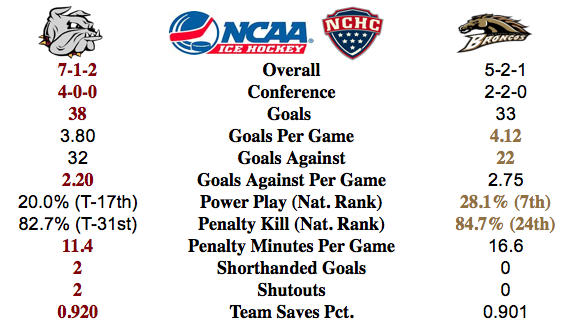 But when have they ever been easy for UMD? WMU has taken many, including this staff, by surprise with a strong start fueled by their increase in scoring. UMD will have to be careful to stay out of the penalty box. Picks by @afiskness. It is a big weekend for the staff as we take to the woods in search of team building, solitude, and deer. 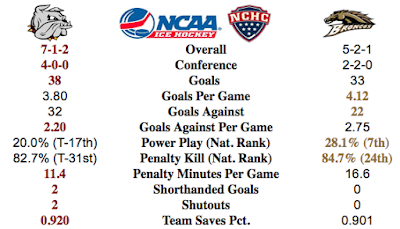 To make it easy, this weekend will be a split-fest as all eight NCHC teams find their way to 3 points on the weekend.